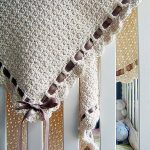 10 Free Crochet Baby Blanket Patterns - love. life. yarn. 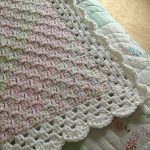 My last two free projects have been baby blankets and I have so enjoyed making them I decided to round up 10 of my favorite free crochet baby blanket patterns. 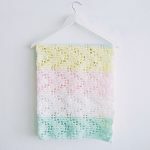 There is nothing like a handmade gift and babies are just so stinking cute to crochet for. 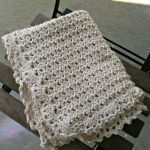 I love making baby things! 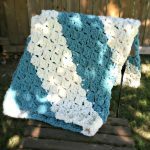 Want more FREE blanket patterns? 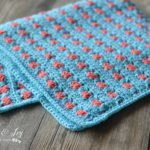 Check out 10 More Free Baby Blanket Patterns and 10 Free Knit Baby Blanket Patterns. 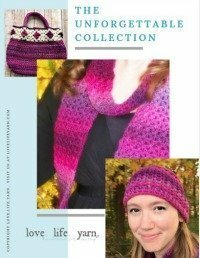 Check back every Wednesday for a new pattern round-up, and be sure to subscribe at the end of this post so you don’t miss a single free pattern! 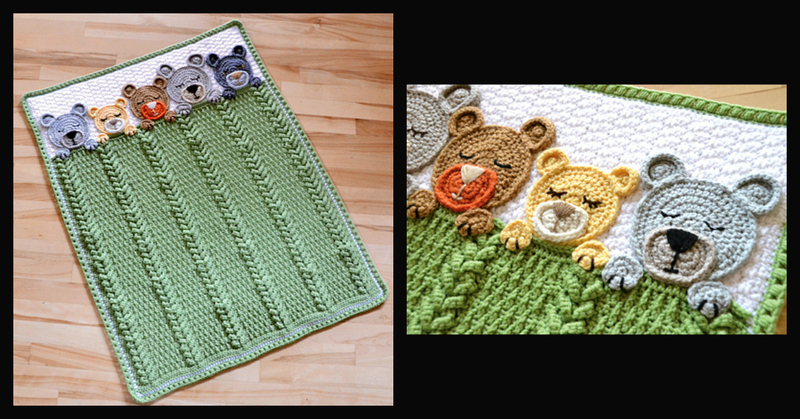 This blanket is also too adorable – it’s from Annie’s and is a paid pattern, but look how cute! If you want more info, click on the picture below. So glad you are finding things to inspire you! I Love the border on this C2C! I don’t see instructions for it on the pattern or tutorial. Can you help? 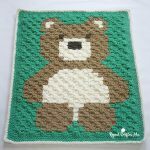 Are you referring to the Bear c2c blanket? There are instructions on her site for a simple sc border. Three rounds of sc with a ch-2 at the corners. No, I meant the pastel baby one. I found the border instructions in her “note”. But it was difficult to navigate the Pinterest link upon link. 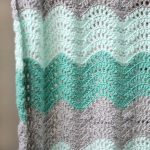 I have a question about the Be My Baby Blanket from Red Heart pattern… Row 3 it says you should do a sc in 2sts. And at the end it says you should have 120 sc. I did one sc in 2sts. But I only have 60 sc … is there a typo? Is it suppose to be 2sc in 2sts? I just had a chance to look at the pattern and it says to do a sc in each of the first 2 sts, then ch 2, skip next 2 sts, and sc in the following 2. So you are basically doing 2 sc followed by a ch-2 where you skip 2 sts and repeating. This should give you the right number of sts.